BAGUIO CITY – Mayor Mauricio G. Domogan underscored that the local government is inclined to pursue the proposal to establish an integrated solid waste disposal facility (ISWDF) within the identified feasible portions of the 29.11 hectares property of the Benguet Corporation (BC) in nearby Itogon town which were ceded to the city through deed of usufruct that will serve as the solid waste disposal site of the Baguio-La Trinidad-Itogon-Sablan-Tuba-Tublay (BLISTT) localities amidst the recent order from the environment department for the total stoppage of all small-scale mining activities in the mineral-rich town. The local chief executive explained that the proposed site of the city’s integrated solid waste facility was identified through the assistance of technical personnel from the Cordillera offices of the Environmental Management bureau (EMB-CAR) and the mines and Geosciences Bureau (MGB-CAR), thus, the stability of the place for such project had been considered side form the fact that the solid waste facility project should not be compared in terms of magnitude to the effects of small-scale mining to the stability of the areas in the locality. “We are ready to pursue the proposed solid waste disposal project in the ceded property considering that it is a private property side from the fact that the facility will serve as a common disposal facility of the BLISTT if all the concerned local governments will agree to it,” Domogan stated. Initially, the local government will be working on the establishment of a small engineered sanitary landfill site in the area that will result to the eventual stoppage of the hauling of the city’s residual waste to Urdaneta City, Pangasinan while proceeding with the construction of other components of the project, particularly the centralized materials recovery facility, the anaerobic digester, special, toxic, hazardous and medical waste treatment plants and the continuous operation of the Environmental Recycling system (ERS) machines that were earlier purchased by the city. 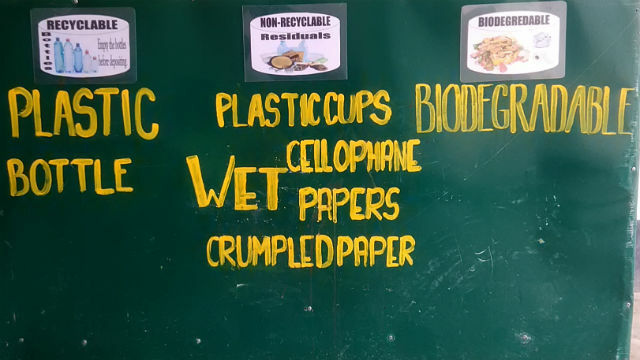 Earlier, BC planned to cede to the local government some 24.11 hectares from its former Antamok site for the proposed solid waste disposal facility but one of the portions of the property was able to pass the stringent standards of the facility that will be established in the area. EMB-CAR, MGB-CR technical personnel, together with BC and the local government’s representatives, revisited the area and recommended the inclusion of some .11 hectares from a portion of the private property to the area that as earlier ceded to the city where the feasible site for the proposed facility could be found that resulted to the mended of the ceded property under the 25-year deed of usufruct. BC initially donated to the Itogon municipal government some 9,000 square meters of is property which is now being used by the town for the operation of is temporary residual containment. However, the Itogon municipal council allegedly rejected the additional 11 hectares that was ceded by the mining company to the municipal government for still unknown reasons. Under the pertinent provisions of Republic Act (RA) 3 or the Ecological solid Waste Management Act of 2, all local governments re mandated to close the operation of their open dump sites and replace the same with the establishment of controlled dump facilities and other environmentally-friendly disposal facilities for the preservation and the protection of the environment and the health of the people living within the communities where such facilities re situated.